Welcoming Gopal Krishna Goswami Back to Toronto! ~ The Toronto Hare Krishna Temple! Welcoming Gopal Krishna Goswami Back to Toronto! From July 22-27, 2016, the Toronto Hare Krishna Temple will have the great opportunity to have the association of Gopal Krsna Goswami! As part of his annual visit to Canada, he will be enlivening all of us through the discourse this upcoming Sunday Feast and will also be conducting programs across the Greater Toronto Area. Gopal Krishna Goswami, a senior disciple of Srila Prabhupada, is presently GBC of many countries throughout the world including parts of Russia, America, Canada, Europe, Asia, Africa, and India and has many disciples world wide. 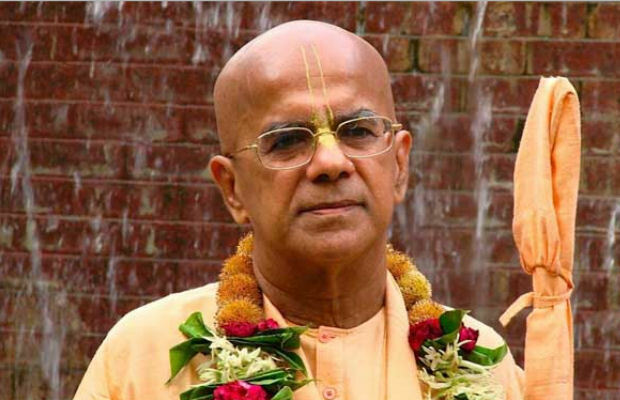 Gopal Krishna Goswami was living in Toronto when he first met with Srila Prabhupada in June 1968 and soon after, took formal initiation from him. He is actively spearheading and involved with many of ISKCON projects globally and we are very excited to be welcoming him for his annual visit to Toronto. Was my inaugural visit, after wanting to come for a decade or so. Was very much impressed by the diversity and elegance of the celebration. Fitting that it was after the big FESTIVAL on the island. Learning more about the cultures and religions that are practiced and preached is something that helps me to better understand others and myself. So I am grateful to all, and certainly the esteemed speaker (Gopal Krsna Goswami) that presented during the evenings activities. All around it was a good experience, and one I hope to repeat in the near future. In fact I should be making my way over tomorrow night as well (Tuesday) to learn some more of this fascinating philosophy and way of life. Blessings in Gods Love to all.